Jodi is the General Manager of SERVPRO of Clinton & Gratiot Counties. She has 15 years of experience in the restoration industry and has the following certifications from the Institute of Inspection Cleaning and Restoration Certification (IICRC): Water Removal Technician, Fire and Smoke Restoration Technician. She is also EPA Lead Safe Certified for Renovation, Repair, and Paint, Xactimate trained, Subrogation trained, and Quickbooks trained. Mike is a Crew Leader with 5 years of experience in the restoration industry. He has the following certification from the Institute of Inspection Cleaning and Restoration Certification (IICRC): Water Removal Technician, and Fire and Smoke Restoration. Katie is the Office Assistant. With five years of experience in the restoration industry. Katie has the following certification from the Institute of Inspection Cleaning and Restoration Certification (IICRC): Water Damage Restoration. Roger is our Repair Technician with 3 years in the restoration industry. Roger is certified by the Institute of Inspection Cleaning and Restoration in Water Removal Technician. Josh is our Sales Marketing Representative. Josh has 3 years of experience in the restoration industry and over 12 years of experience in carpentry. He has the following certification from the Institute of Inspection Cleaning and Restoration Certification (IICRC): Water Removal Technician. Derek is our Production Manager with 5 years experience and has the following Certification (IICRC): Water Damage Restoration, Applied Structural Drying & Applied Microbial Remediation. Stephanie is the Office Assistant. She has 3 years experience with the certification from the (IICRC) Institute of Inspection Cleaning and Restoration Certification: Water Damage Restoration & Fire and Smoke Restoration. 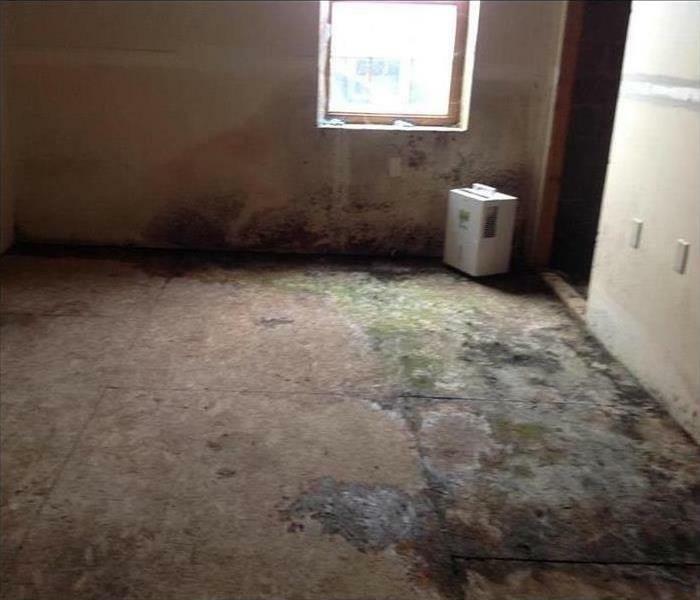 Jim is our Commercial Salesman with 2 years experience and has the following certifications from the Institute of Inspection Cleaning and Restoration Certification (IICRC): Water Damage Restoration. Heather is a Technician at SERVPRO with 1 year experience and has the following certification from the Institute of Inspection Cleaning and Restoration Certification (IICRC): Water Damage Restoration. 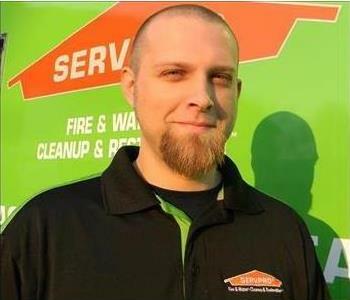 John Howell is a Technician at SERVPRO of Clinton & Gratiot Counties. John proudly joined SERVPRO in July 2018. He will start training through the (IICRC) Institute of Inspection Cleaning and Restoration Certification for Water Damage Restoration. We are proud to have John join our team. Austin Wythe is a Technician at SERVPRO of Clinton & Gratiot Counties. Austin proudly joined SERVPRO in October 2016. Austin has his certificate with (IICRC) Institute of Inspection Cleaning and Restoration Certification for Water Damage Restoration. We are proud to have Austin join our team. Nickki joined SERVPRO of Clinton & Gratoit Countries in July 2018 as our Marketing Coordinator. Nickki is a newly proud mom of beautiful twin babies. We are proud to have her join our office. 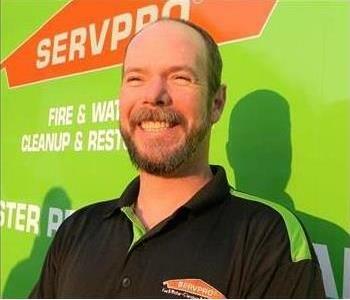 Andy is our Warehouse manager at SERVPRO of Clinton & Gratiot Counites. Andy has received his certificate with Institute of Inspection Cleaning and Restoration Certification (IICRC) Water Damage Restoration, Applied Structural Drying, Health & Safety and Commercial Drying Specialist. Dave Wilcox is a Technician with SERVPRO Clinton & Gratiot Countries. Dave proudly joined our team in September 2018. Dave is working on getting his certificate with Institute of Inspection Cleaning and Restoration Certification (IICRC): Water Removal Technician.